When a front tooth is missing or extracted, it can be replaced using a front tooth implant. 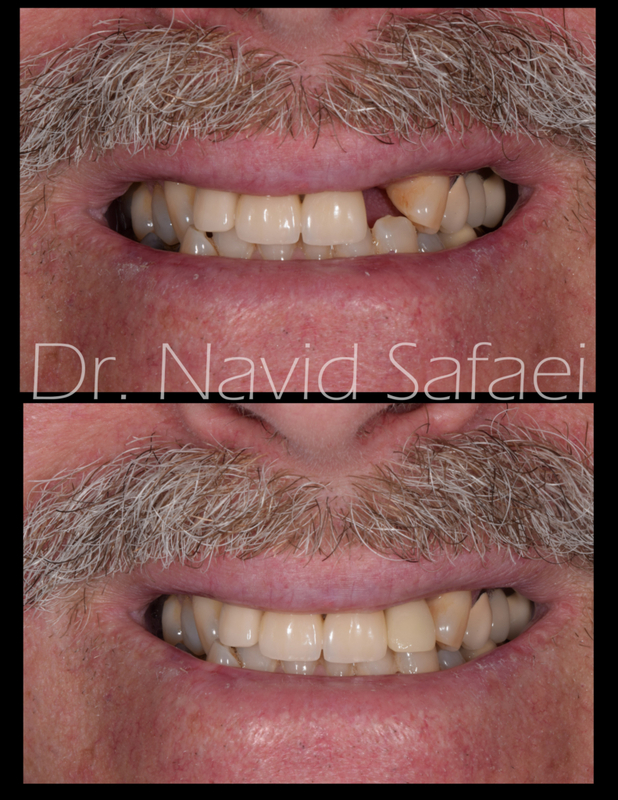 It is a long-term aesthetic solution to a missing front tooth. Each case is unique and before we can accurately quote you on your implants, a complimentary implant consultation is needed to evaluate your case. After the missing tooth site has been evaluated for proper bone, space and aesthetics, the implant is placed under the gums. After some healing, an abutment is placed to support the crown. healing times will vary. In certain cases a custom abutment may be necessary to accommodate the anatomy. A custom crown is permanently placed.